More than 200 injured veterans and their supporters departed Chicago this past Saturday to participate in the 2013 Ride 2 Recovery Great Lakes Challenge, a 375-mile bicycle ride from Chicago to Detroit that will take six days to complete. 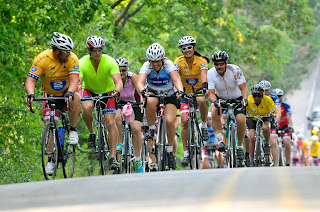 The event, sponsored by client UnitedHealthcare, offers veterans that have been injured in the line of duty an opportunity to use cycling – hand cycles, recumbents, tandems and traditional road bikes – as a form of rehabilitation and healing. LCWA handled media outreach for the first half of the ride that included the kick-off event at Soldier Field, lunch stops in Gary, Ind., and St. Joseph, Mich., and overnight stops in Michigan City, Ind., and South Haven, Mich.
Three Chicago TV stations covered the kick-off event Saturday including WGN-TV, WMAQ-TV (NBC) and CLTV, and CBS radio station WBBM-AM also covered the departure. Local newspapers along the route featured heartwarming interviews with the vets with coverage in the Northwest Indiana Times, Merrillville (IN) Post-Tribune, Michigan City (IN) News-Dispatch and the St. Joseph (MI) Herald-Palladium. The riders will reach Detroit this Thursday, Aug. 29, where they will be guests at a Tigers baseball game.